Pakistan has a diverse economy that includes textiles, chemicals, leather products, food processing, financial services, telecommunications, retail, automobile manufacturing, light and heavy armaments, agriculture and other industries. It is the 45th largest economy in the world in terms of official exchange rates ($144b) and 25th largest based on purchasing power parity ($410b PPP). Its service sector accounts for more than half of its GDP. Pakistan’s textile industry is a major contributor to the national economy in terms of exports and employment. Pakistan holds the distinction of being the world’s 4th largest producer of cotton as well as being the 3rd largest consumer of the same. In the period July 2007 - June 2008, textile exports were US$ 10.62 Billion and accounted for 55% of the total exports. As the economies in the US and Europe slow down, Pakistan's key exports of textiles and leather products are experiencing a slowdown in growth as well. According to APTMA, textile exports have declined by about 20 percent in 2008. The industry is bracing for more trouble ahead with continuing crises of electricity and gas, international market access, global economic slow-down,and adverse travel advisories. According to Pakistan textile industry association, 90 percent of Pakistan's textile industry is losing money losses and facing closure. More than two months of production has been lost due to power cuts and gas shortages. APTMA, Pakistan's textile industry Association established for the promotion and protection of the textile industry, says that the high cost of finance because of the nation's tight monetary policy has added to their continuing woes. In order to pave the way for the IMF bailout, Pakistan's central bank raised its bank lending rate in early November by 2 percentage points to 15 percent. Since 2004 interest rates have risen dramatically. Kibor (Karachi Inter-Bank Offered Rate) has surged 261 percent. Likewise, the bank spread, on a weighted average basis, rose from 2 percent to an excessive 7.75 percent. This size of bank spread is among the highest in the world. These high rates were allowed as a policy to restrict money supply to satisfy the IMF conditions. Federal Textile Adviser Dr Mirza Ikhtiar Baig told the News that Pakistan has a very low share of the international textile market. China tops the US market with a share of 36 per cent followed by Bangladesh 21 per cent, India 18 per cent, Morocco 19 per cent and Pakistan 13 per cent. South Korea has lost 20 per cent of the US market. In the European market, China tops again with a share of 29 per cent, Vietnam 28 per cent, India 19 per cent and Pakistan only 1.5 per cent while the Philippines had lost 11 per cent of the market. European buyers have told Baig that Pakistani garment manufacturers could cut their cost up to 45 per cent in sewing by improving efficiency. According to a study of Pakistani textile and apparel sector conducted by Werner International, management consultants to the world textile, apparel & fashion industry, some of the garment units were over-staffed by 57 per cent. That was an internal negative factor whereas external factors included no duty-free market access to the EU and negative image and perception of Pakistan abroad. Baig has asked Werner to submit a proposal for presenting a better image of the textile industry to global brands for achieving collaboration with them. In response, Werner is working on a three-year plan to help Pakistan garment manufacturers. While Pakistan clearly needs to diversify and increase higher-value-added exports such as sophisticated machinery and high technology products and services, it is essential for it to maintain and enhance the current export levels of textiles, leather and other products for which there is an established export market. The export-oriented industries should get preferential treatment in getting access to necessary inputs of raw materials, financing and energy by government policies. Energy and communications infrastructure, in particular, need much greater focus to enable Pakistani exporters to continue to earn the much-needed hard currency. The murder of a leading industrialist who was unable to pay his workers for the last three months due to slow business has sent a wave of terror among the entrepreneurs most of whom are not update on their dues. Najeeb Zafar a leather factory owner in the suburb of Lahore was killed by his factor workers and the manufacturing facility was also torched after exchange of hot words over the delay in payment of the salaries of the workers. Najeeb was the scion of a leading industrialist family that runs textile mills and leather factories. What has terrorised the entrepreneurs is that almost all of them are in such a financial crisis that they have not been able to pay salaries to their employees on time. A large number of them are regularly liquidating their personal assets to keep the factories running. Many have reached the stage where they are left with no assets and have closed down after defaulting on all their liabilities including the salaries of their workers. The wave of unemployment in the country is such that the workers tolerate long delays in their salaries in the hope that some payments would be received as the alternate is to leave the job and sit at home. New jobs are not available in the market. The business activities in the city remained dull throughout the week. The textile sector is eagerly awaiting the announcement of Pakistanís first textile policy which was expected in the first week of August. The surviving textile units are pinning high hopes on the textile policy as after the closure of almost 35 per cent of the industry even the most efficient mills are finding it hard to pull on without some relief which they expect in the textile policy. Trade bodiesí elections are on card and the activities in this regard have started. The elections of the Lahore Chamber of commerce and Industry are scheduled next month. Rival groups are active in mustering support of LCCI members. They have now started visiting various markets and industrial concerns with the ruling alliance still commanding confidence of the members. The engineering sector is busy gathering the details of the trade policy that has provided various incentives to this sector. They are demanding that the execution of the facilities announced should be through the Engineering Development Board instead of Trade development Authority of Pakistan because the EDB have relevant engineering experts that the TDAP lacks. Soaring rates of edibles two weeks ahead of the fasting month of Ramadan are indicators of another wave of inflation in the coming month. The vegetable rates have already shot up to their historic high and are still rising. The sugar rates have touched Rs50 per kg, wheat flour rates have increased by another Rs15 per 20 kg bag. There is pressure on milk rates. The rates of gram pulses are on the rise. The provincial and city district governments are planning to establish large number of Ramadan bazaars where they would try to ensure availability of essential daily use items at lower rates. The success of this exercise would depend on the governmentís ability to arrange more supplies than demand. No government in the past ten years has succeeded in this regard. Last time when the rates in Ramadan were brought under firm control was in 1998 during the first tenure of the present chief minister Punjab. The intensity of load shedding remains the same, forcing most of the traders to install diesel generators that can be seen outside almost every shop in the shopping centres. These diesel run generators do illuminate the shops but cause pollution around the markets. The value added textile sector fears that export of readymade garments may decline by around $300 million owing to shortage of yarn in the local market. 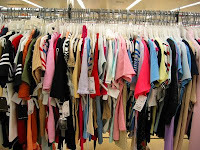 Pakistan Readymade Garments Manufacturers and Exporters Association (PRGMEA) Chairman Mohsin Ayub Mirza told The News that in the value added textile sector they sell their products 120 days in advance but due to shortage of yarn, no orders were received for February 2010. He said that owing to shortage of yarn around 20 per cent fall in export of knitwear and 10 per cent in woven garments is feared. If the situation persists there would be a decline of around $100 million in export of woven garments, $140 million in knitwear and $60 million in towels. Export of cotton and cotton yarn increased by more than 30 and 23 per cent respectively in September and October. Export of cotton cloth, bedwear, towel and tents also recorded a significant growth whereas export of knitwear and readymade clothes slightly decreased in this period. Raw cotton recorded export of 25.72 million kilograms in October against 17.92 million kilograms in September while cotton yarn export increased to 73.36 million kilograms in October against 56.18 million kilograms in September. All Pakistan Textile Mills Association Chairman Anwar Ahmed Tata said the spinning industry was facing shortage of raw cotton but they had never demanded a ban on export of cotton and it was expected that about one million bales or 8.5 per cent of total production of cotton would be exported this year. He said that the government has earmarked more than 90 per cent out of the Rs40 billion incentive package in the textile policy for the value added sector. The APTMA chairman demanded the government not to intervene and take any short-term measures because the consequences would not only hurt the spinning industry but also the value added sector and the whole economy. All Pakistan Textile Mills Association (APTMA) Chairman for Sindh-Balochistan Region M Yasin Siddik said it was time that our value added sector realised that Pakistan was not only competing on the basis of prices but also on the basis of quality, especially in products which were made from coarse counts yarn like denim, bed ware, cotton cloth and towels. India, WTO member since 1995, imposed quantitative capping of exports of cotton yarn from 1993 to 2002 besides imposing quotas on cotton yarn exports, Bilwani said. Bangladesh, WTO member since 1995, slapped a ban on exports of jute on 7th December 2009 to protect the local spinners converting jute by way of value addition. China, WTO member since 2005, increased export duties of 74 textile categories including Flax Single Yarn in 2005 and in addition to this it is giving subsidy in the form of 16 per cent export rebate for labour intensive textile and garment industries. Bilwani said even Pakistan from 1988 to 1995 imposed export tax on raw cotton for development of cotton yarn industry. The aim was to reduce price of cotton fibre. The scheme was successful and from 1988 cotton export decreased substantially while production and export of yarn increased. He said that now it is time to go one step forward to next level in value addition and impose restriction on exports of cotton yarn for development of the value added textile industries. Production of cotton in the world is less than the last year except India, which has 3 million bales surplus than its requirement. Cotton price in the local market has increased by 31 percent to Rs4,500 per maund from Rs3,400 in two months only. KARACHI: After a year of unemployment and wondering if his family would be better off if he died, Pakistani textile worker Murad Ali has got the spring back in his step. One of thousands laid off by textile bosses last year, the father of four is now back at work and one of those to benefit from a surge in Pakistani exports in the current fiscal year, which ends on June 30. Experts say rising global commodity prices, a government decision to prioritise power supply to industry and currency devaluation that has made Pakistani products more competitive, have fired an export boom. Compared with the same period last year, the Trade Development Authority of Pakistan says textile exports such as silk rose 25.8 per cent and agricultural produce, such as basmati, rose 6.2 per cent from July to February 7, 2011. The textiles sector is one of the key drivers of the Pakistani economy, accounting for 55 per cent of all exports and 38 per cent of the workforce, according to official figures. Bosses have rehired staff who were laid off, but Ali is only getting a third of the salary as a skilled garment worker that he used to command. “I’m earning less than last year. It is difficult to live a better life due to price rises, but I’m happy,” Ali said. He has re-enrolled his sons at school but his wife will continue to work as a maid. Money is too tight for her to go back to being a housewife. “The situation has drastically changed in the favour of the country’s economy,” said textile tycoon Mirza Ikhtiar Baig, who employs more than 2,000 workers and predicts exports will rise 10 per cent for the fiscal year 2010 to 2011. “Now with demand for Pakistani products rising internationally we are employing more workers. “Our exports are getting healthier because of an increase in international commodity prices and the government’s will to give top priority to the country’s economy,” said Baig, an advisor to Prime Minister Yousuf Raza Gilani. The Asian Development Bank forecasts GDP growth for Pakistan of 2.5 per cent for fiscal year 2011 despite pressures from unprecedented floods in 2010, with a relatively modest rebound to 3.7 per cent for fiscal year 2012. Pakistan suffers from a profound electricity crisis that restricts production to around 80 per cent of its needs — a situation that will only worsen as the temperatures crawl higher in the coming months. The budget deficit has grown to 5.5 per cent of GDP, above a 4.9 per cent target for the current fiscal year to June 30. To fund the shortfall, the government borrowed $4.4 billion from the central bank from July 1 to February 28, a move that worsened inflation, rather than raise taxes and cut spending as the IMF and World Bank would like. Mohammad Sohail, head of the Karachi-based Topline Securities research and brokerage house, said the export boom would contribute to economic recovery, yet warned the gains were minimal. “It is very fragile because the fiscal deficit is much higher than the target of 5.3 per cent because of the government’s heavy borrowing from the central bank,” he said. “Furthermore, the overall security situation in Pakistan is very uncertain, which is making the foreigners and local investors wary all the time.” Independent economist A.B. Shahid said rising international oil prices had hit the country’s economy hard, adding $4 billion to the oil bill. Pakistan could have benefited more from 8-9 per cent export growth, he said, by exporting cloth in its value-added forms rather than raw cotton and yarn. While Ali is content with life, he is also wary of uncertainties ahead. Pakistani entrepreneurs plan to relocate their textile manufacturing units to Bangladesh in a bid to reap advantages given to least developed countries (LDC) of duty-free markets in the European Union. The manufacturers blame Pakistan for rising costs of production, power shortages, higher taxes and poor market access to developed countries, former textile minister Mushtaq Ali Cheema told Pakistan's Daily Times newspaper. Bangladesh offered lucrative incentives, including uninterrupted power supply and tax-free status for the first 10 years and tariff-free access to markets in the European Union. In September, a Pakistan business delegation held parleys with Bangladesh trade bodies and expressed their eagerness to relocate their textile industries to Bangladesh. The exporters and manufacturers are disappointed with the Pakistan government for its poor business vision, which left the Pakistan textile industry in tatters, said Cheema. Cheema said the cost of textile production is very high in Pakistan, while labor costs in Bangladesh are cheaper and the workers are more efficient. Already several Pakistani entrepreneurs have invested in composite textile units in Bangladesh. The entrepreneurs argue that several facilities give way to profit margins an average 30 percent higher for textile exporters than in Pakistan, Cheema added. International buyers and retail giants are reluctant to place orders with exporters because of unpredictable breakdowns in the supply chain, said the official. The facility, located at the Landhi Industrial Area, provides a production platform in one of the pioneer industrial states in Pakistan and gives Huntsman further competitive advantage through convenient access and infrastructure. Pakistan represents a fast-growing, dynamic market of increasing importance for Textile Effects, and the launch of this FDC strengthens TE’s commitment to this textile market. With Swisstex as its sole distributor, Huntsman Textile Effects has been aggressively extending its global reach in Pakistan to support the challenges facing the textile industry and to be the driving force for the fourth largest cotton producer of the world. Huntsman Textile Effects is developing more competitive, locally sourced, formulated products for the local market, and will work with distributor partner Swisstex in order to maximize growth with key textile customers, especially in the home textiles and specialty chemicals areas. Huntsman Textile Effects is a global provider of high-quality dyes and chemicals to textile and related industries. It operates in 110 countries and 14 primary manufacturing facilities in 12 countries (China, Columbia, Germany, Guatemala, India, Indonesia, Mexico, Pakistan, Switzerland, Thailand, Turkey, USA). Huntsman is a global manufacturer and marketer of differentiated chemicals. Its operating companies manufacture products for a variety of global industries including chemicals, plastics, automotive, aviation, textiles, footwear, paints and coatings, construction, technology, agriculture, health care, detergent, personal care, furniture, appliances and packaging. Pakistan-based International Textile Ltd (ITL) has deployed SAP’s business software solutions by entering into a partnership with SAP, to bring technology-driven success across its international textile manufacturing. To support Pakistan’s Ministry of Textile Industry’s goal of reaching US$ 25 billion in textile exports by 2014, ITL has deployed SAP across finance, controlling, materials management and sales and distribution. Adnan Khan, the director of ITL, said that in addition to improving ITL’s visibility and decision-making, SAP solutions have also helped ITL progress in vertical integration operating strategy, and support Pakistan’s growing textile-based economy. In today’s data-driven world, SAP solutions will enhance ITL’s sales, distribution, and materials management, empowering ITL to compete at the highest level in the global market, he added. Gergi Abboud, the managing director of SAP in Gulf and Pakistan, said textiles are one of the most important industrial sectors in Pakistan and SAP is committed to supporting the country’s industrial economic growth and ITL international expansion. ITL is a global business, which services in the US, Canada, the European Union, and other important international markets. The company operates four business divisions including terry textiles, Muratec Jet Spinning (MJS), garments and trading. The product lines include yarn, wide range of terry products and related goods, fabrics, a full line of hospitality and healthcare products. SAP’s Solutions for mill products, implemented by Siemens, Pakistan are expected to bring higher standards of performance at ITL enhancing the company’s leadership position and drive its international market expansion, which already includes customers in United States, the European Union, and Australia. Textiles comprise 40 percent of Pakistan’s industrial labour. The World Economic Forum ranked Pakistan in the 49th position in ‘capacity for innovation’ in the Global Competitiveness Report 2013-2014, highlighting the potential for business technology solutions in supporting economic growth.